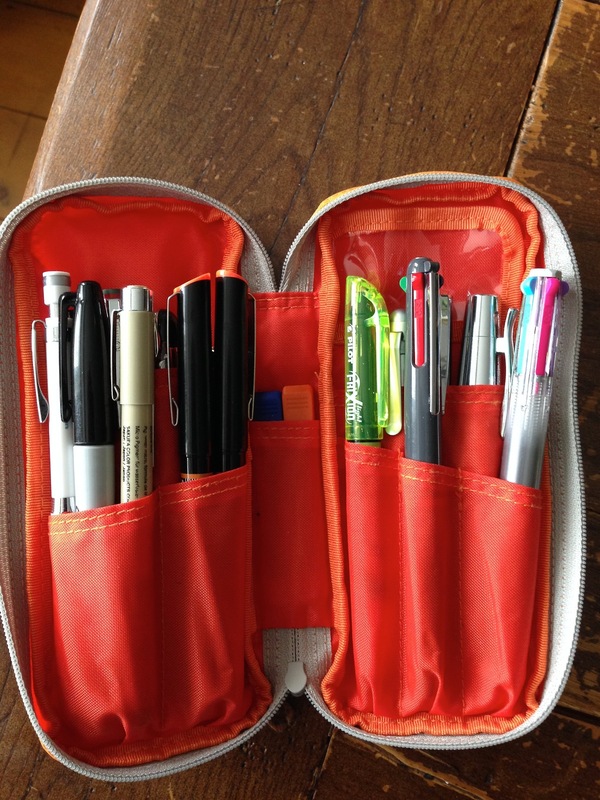 Nomadic PE-06 Pencil Case – Pens! Paper! Pencils! I rather suspect that on Monday I will be backing a new Kickstarter project and beginning an impatient wait for a new pen case but in the meantime, here is what I use every day to keep my currently inked pens in. I’m a person who finds it difficult to make choices (can you tell?!) 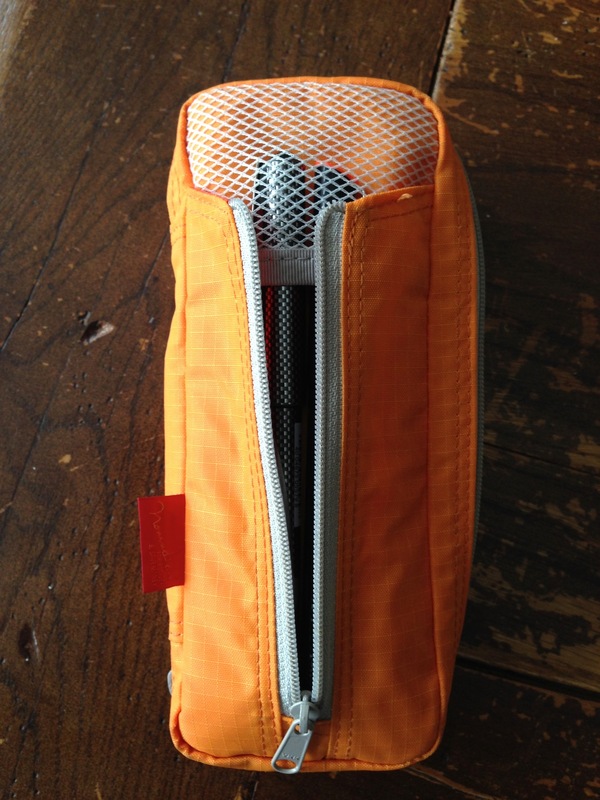 and so the snappily titled Nomadic PE-06 Side Zipper Pencil Case suits me because, as you can see, it holds a lot of pens. I’ve got 17 in here and could probably fit some more in if I tried. In the front, a Schneider Xtra Document 0.3 rollerball and an Ohto Graphic Liner 01. Inside, front row, left to right: Uni Kuru Toga High Grade Pencil 0.5mm (HB lead), Sharpie fine, Sakura Pigma Micron 03, Ohto Graphic Liner 005, Ohto Graphic Liner 05, Pilot Frixion Highlighter (a highlighter you can erase, how amazing is that?! ), Pilot Coleto me, Pilot Coleto 5.
p>Inside, second row, are all the pens (apart from the Kaweco) I took a picture of yesterday, but to save you the trouble of clicking there they are, left to right: Pilot Elite, Rotring Esprit, Waterman Translucent, Pilot Prera, A. G. Spalding Maple Wood, Faber-Castell Ambition and Faber-Castell e-motion.